OMG Posters! » Archive "Minnesota" Art Print by Aaron Draplin (Hunting Season Edition Onsale Info) - OMG Posters! 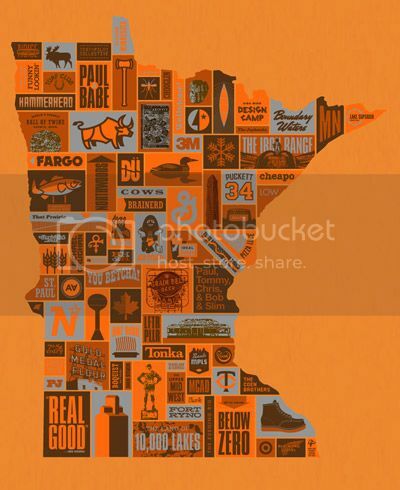 Burlesque Design is offering a third edition of Aaron Draplin’s “Minnesota” print. The Hunting Season colorway is a 24″ x 30″ screenprint, has an edition of 175, and will cost $30. This goes up tomorrow (Thursday, September 15th) at 2pm Central Time. Visit BurlesqueDesign.com. So nice to see that they gave the band “Cows” a nod in this print. Much respect for that alone.